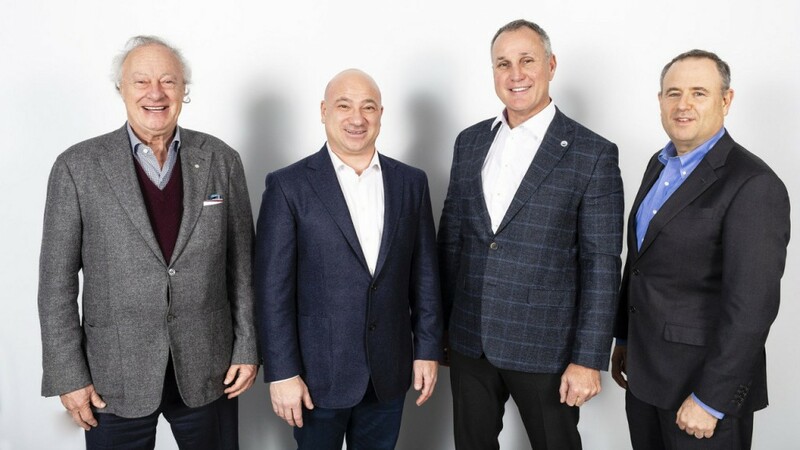 Left to right: Martin Goldfarb, Danny Ardellini, Paul Coffey and Alon Ossip who have launched Environmental 360 Solutions and completed their first acquisition. Danny Ardellini, Almada Inc. and NHL legend Paul Coffey have announced the launch of Environmental 360 Solutions Inc. (E360S), a new environmental waste management company. As one of the company's first moves, E360S has acquired Can Pak Environmental Inc., a central Alberta-based family-operated business serving residential, commercial and industrial properties, from Mark Pedersen, its owner and president. With operations in Red Deer, Medicine Hat, Beaumont, Drayton Valley, Edson, Edmonton, and Calgary, E360S now has nearly 100 employees, over 35 trucks, and 2 recycling facilities, servicing over 150,000 customers weekly. Toronto-based Almada is a private equity / venture capital entity founded in 2017, which focuses on companies in which it has a significant influence or controlling position. Almada utilizes the skills and experiences of the principals, namely Alon Ossip and Martin Goldfarb, to create a series of investments in different verticals. Extensive work has already been done in software, industrials, real estate, environmental management, self-storage and aviation. Since its founding, Almada has invested over $200 million. Almada is based in Toronto, Canada.